Streamlined and versatile, Aspinal's Large Essential Flat Pouch is the ideal companion for an organised lifestyle. 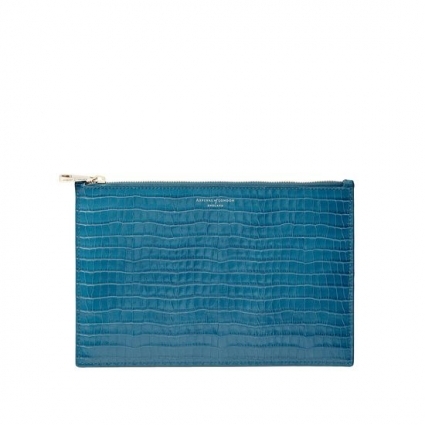 It is handmade to from Italian calf leather and is finished in deep shine topaz croc print for a glossy aesthetic. The spacious interior is lined with their signature shimmering grosgrain and has ample room for travel documents or even a small tablet. The full-length fine quality zip complete with signature branded zip pull ensures that your belongings are secure while elevating the design.